This is the first in a series of blog posts featured the amazing windows and lobbies participating in the annual decorating contest. Vote for your favorite here! 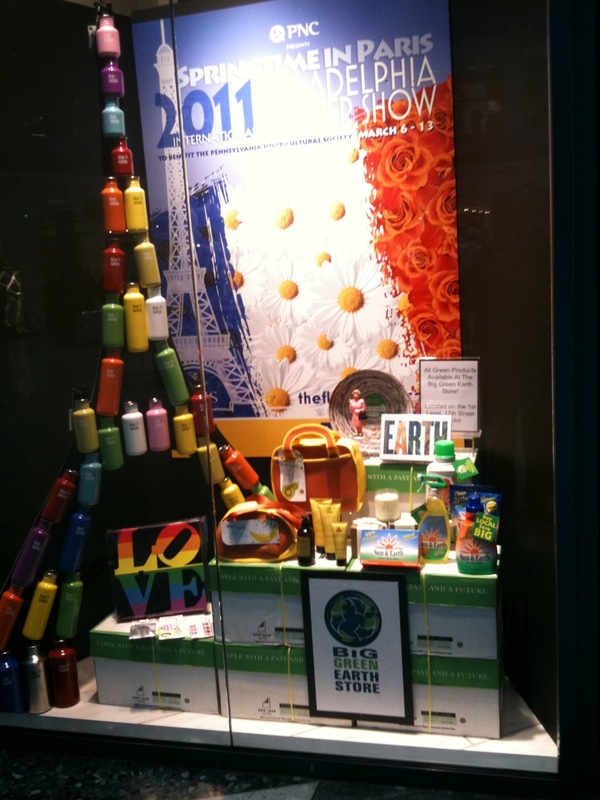 Big Green Earth Store on 1650 Market Street has a window display that towers over Liberty Place. With a giant replica of the Eiffel Tower made from Klean Kanteens, these window designers are going big and going green for the Philadelphia International Flower Show window display competition. We love being eco-friendly and we love this display. Great work, GBE Store! 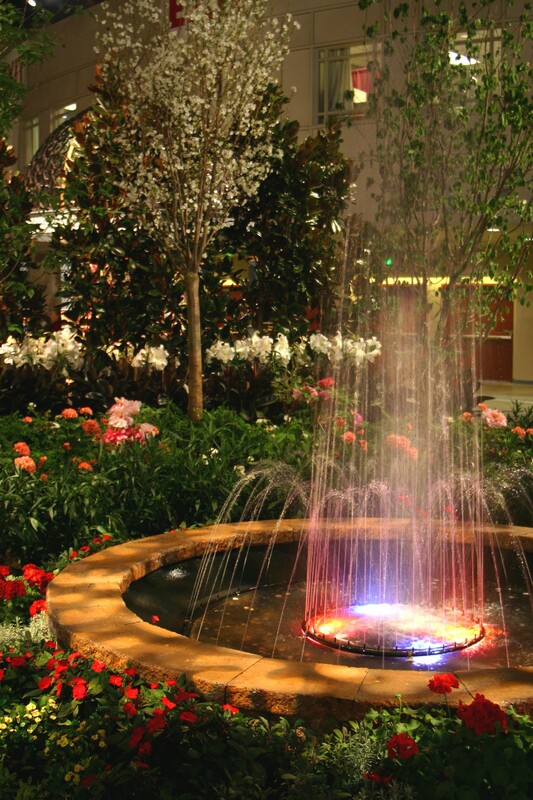 Each year, more than 250,000 visitors travel to the Greater Philadelphia region to attend the Philadelphia International Flower Show and enjoy area shops, restaurants and attractions. 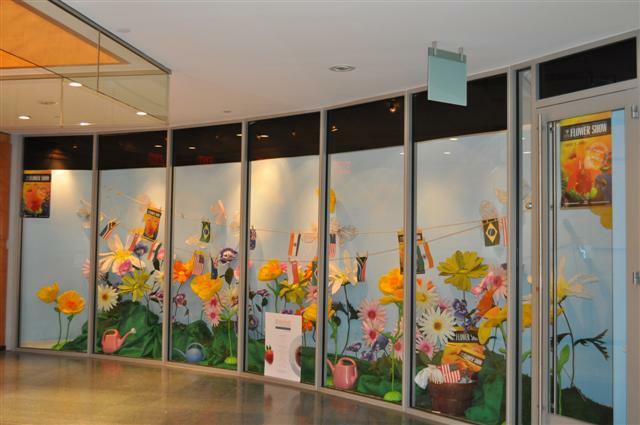 Join us in 2011 for “Springtime in Paris,” by participating in our free annual Phlower Power Window Decorating Contest. It’s still early, but sign up to learn more later this fall and get your window ready right after Valentine’s Day. The contest takes place before and during the Show, which runs March 6-13 at the Pennsylvania Convention Center. Contestants can win in several different categories as well as Flower Show tickets. When she was a student teacher at the W. B. Saul High School of Agricultural Sciences, Pam Snyder decided to get her students involved in the PHS Kids Grow Expo (known then as the Junior Flower Show). Thirty years later, she’s still at it—a long-time teacher at Saul and still a regular at Kids Grow Expo. A full-day event that features horticultural activities and environmental education, Kids Grow Expo is a natural venue for students from Saul, a Philadelphia International Flower Show exibitor and the largest agricultural high school in America. Students at Saul study landscaping, greenhouse management, animal science, and food science along with standard high-school fare. 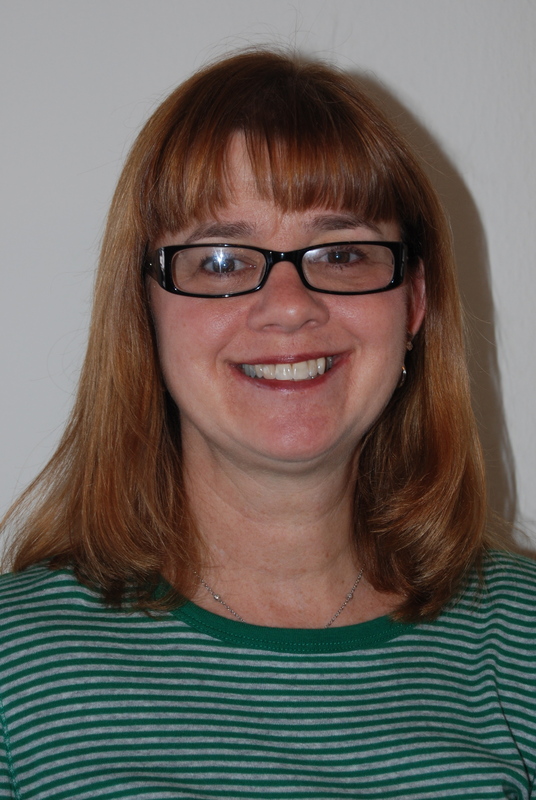 Pam currently teaches classes in retail floristry at Saul, located in Philadelphia’s Roxborough section, and serves as a “teacher-leader” for the 15-person agriculture department. Sam Lemheney, director of design for the Philadelphia International Flower Show, and Burke Brothers Landscape Contractors are lending their talents to the second annual Macy’s Flower Show, “Spring Is in the Air,” from March 28 to April 11 at the Center City Philadelphia store, Market and Juniper Streets. The designers from Burke Brothers, who created the Brazilian rainforest at this year’s Philadelphia International Flower Show in the Pennsylvania Convention Center, include Kevin and Sean Burke and Laurie Clabbers. 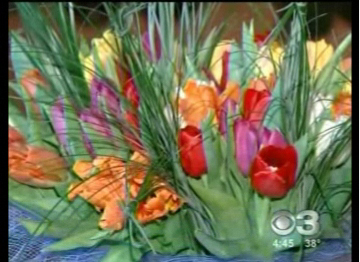 The Macy’s show will also feature floral designers of the Philadelphia International Flower Show who will creaste the Bouquet of the Day just inside the store’s Juniper Street entrance. Donna O’Brien, of Beautiful Blooms, will design the bouquet on view April 2 and 3; Jamie Rothstein, of Jamie Rothstein Distinctive Floral Designs, April 8 and 9; and Michael Bruce, of Michael Bruce Florist, April 10 and 11. 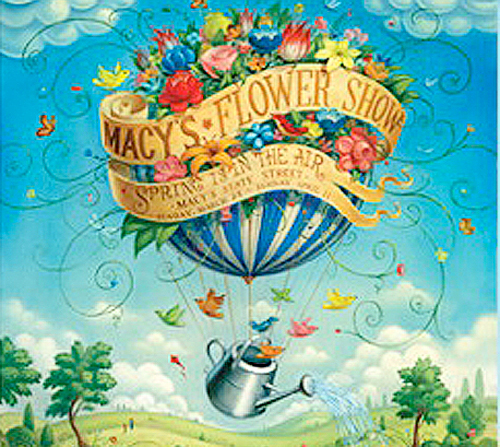 The Macy’s show will be staged in the Grand Court and will feature varieties of exotic trees, flowering plants, and a hot-air balloon centerpiece. The show will include special in-store events, sweepstakes, cooking demonstrations and seminars. For more information, visit www.macys.com/events. 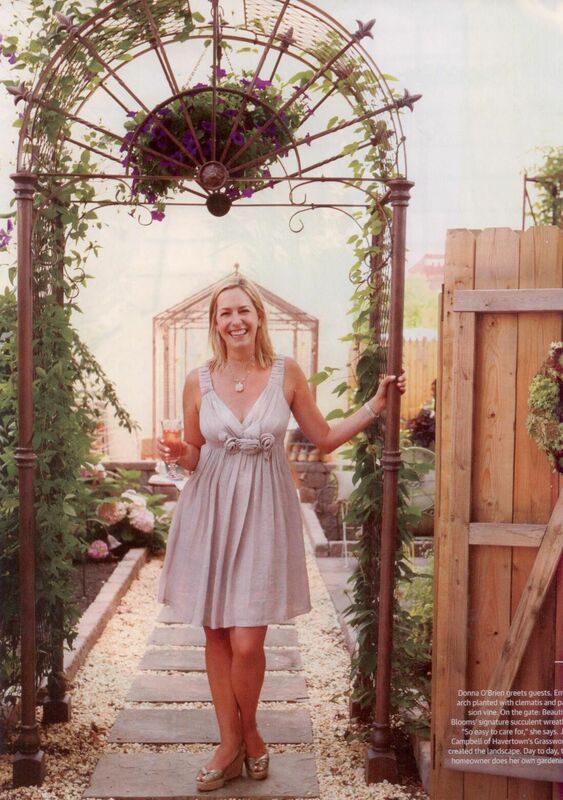 Check out Flower Show floral exhibitor Donna O’Brien from Beautiful Blooms in the latest issue of Philadelphia Magazine. 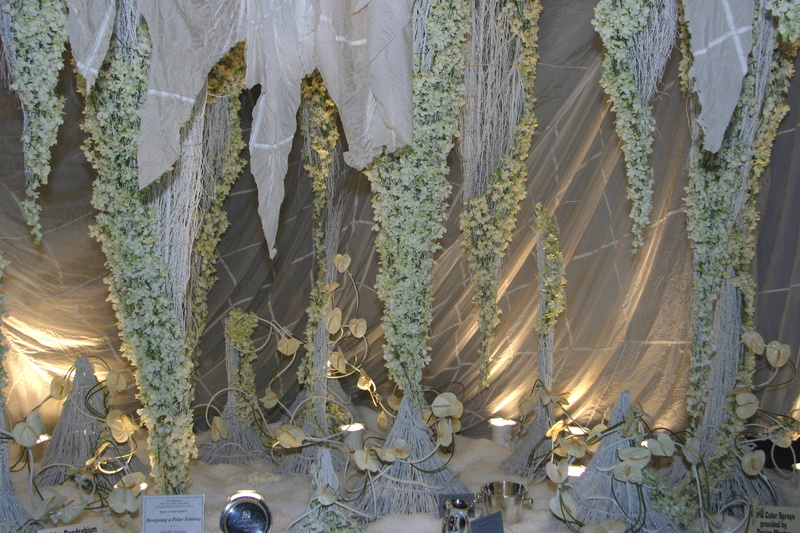 Fusion Flowers, the renowned Scotland-based magazine devoted to “innovation in contemporary floral design,” focused its video camera on the “Polar Fantasy” created by Schaffer Designs at the 2010 Philadelphia International Flower Show. Bill Schaffer’s white-white-white exhibit envisioned a 40-degree-below world where orchids, carnations and other flowers do bloom, encased in cubes of ice, stuck in giant stalagtites, or frozen on the stem. The exhibit received the PHS Award of Distinction, the Emile H. Geschick Memorial Award for a distinctive orchid display, and wide applause from garden writers and Show visitors. To view the dramatic video record of the Schaffer exhibit, go to http://fusionflowers.com. 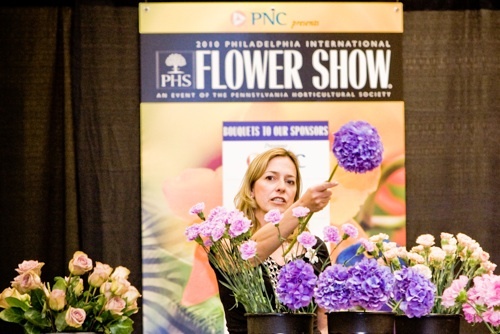 Donna O'Brien leads a floral demo at the 2010 Philadelphia International Flower Show. Donna O’Brien of Beautiful Blooms led her first demonstration at the Philadelphia International Flower Show this year, and it was a beautiful blend of floral and fashion design. Entitled “Fashionable Flowers,” Donna’s demo included the creation of a necklace of crystal garlands, delphinium and thistle, and fastatic handbags made of moss and wire. Donna began her career in the fashion industry, and she brings her sense fo style and innovation to her floral design business based in Northern Liberties. Her extraordinary exhibit of hanging glass vases at the 2010 Flower Show, inspired by topographic maps and entitled “Global Terrain,” won the PHS Award of Excellence in the Newcover Florist category. Read Donna’s artful blog at www.beautifulblooms.com/blog.